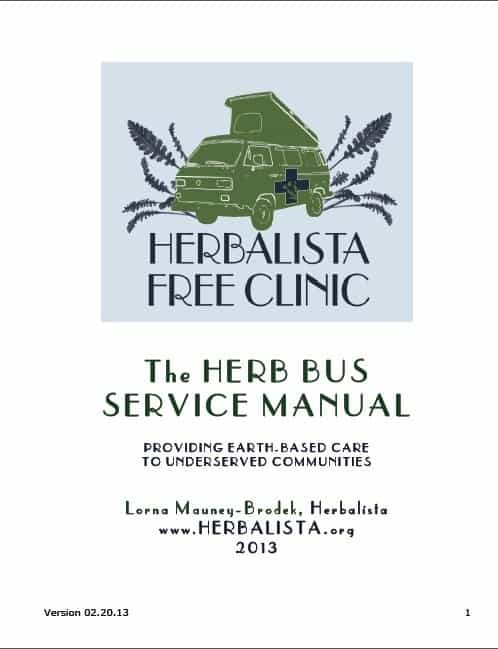 The Herb Bus Service Manual is a work in progress, that outlines some of the nuts ‘n bolts to running the Herbalista Free Clinic– things such as station set-up, sanitation, intake considerations, forms & supplies lists. Hope folks find this a helpful guide. Even in this typically bleak & frosty month, my heart is glowing. It is with a very special joy that I watch the first sprouts emerge of an herbal project whose seeds were planted long ago. 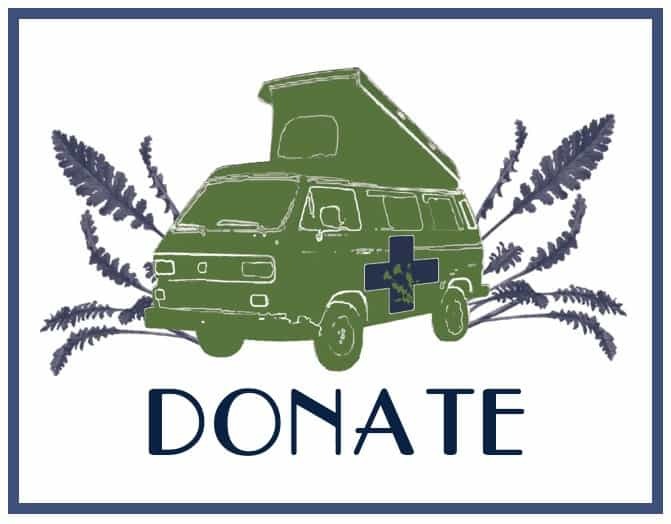 The Herbalista Free Clinic (aka the Herb Bus) begins her rounds this month! The incredible encouragement and support of this project by so many is proof of how eager Atlanta is for this type of care. We have been invited to take part in this month’s Georgia Organics Conference. 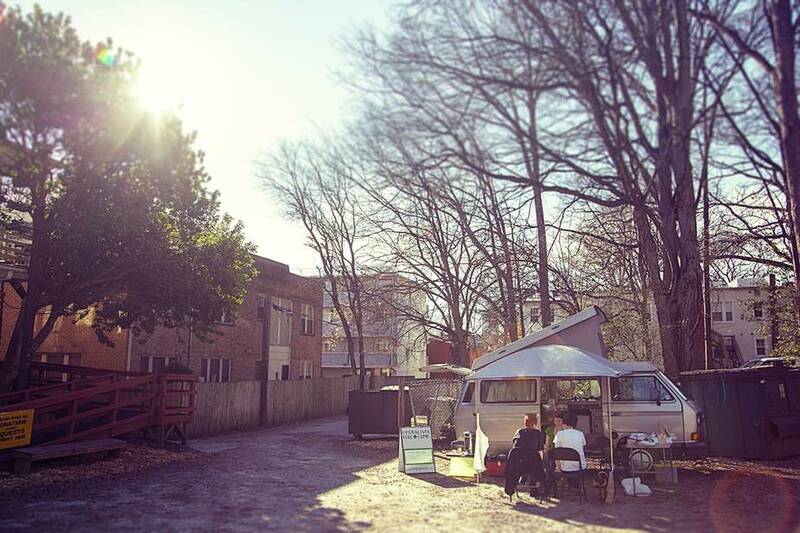 We will be on site, providing Herbal First Aid and sharing our vision of building healthy community through herbalism. Please stop by– no scraped knees required! In this month of giving valentines and roses to friends and family, don’t forget to nurture your own heartsong. The aromatic rose, ancient symbol for love, is one of our most powerful heart-medicines. Rosa uplifts our spirits, heals our grief, and with her thorns, protects our delicate many petaled heart. The Persian poet Rumi tells us “Every rose that is sweet scented within, that rose is telling the secrets of the universe.” To read more about rose medicine, check out this month’s issue of the Sevananda Co-options Newspaper, or if the co-op isn’t near your stomping grounds, you can read it here. Early February marks the midpoint between winter solstice and spring equinox. We have passed the darkest hour and are rewarded with the dandelions, crocuses, and forsythia blossoms, pointing us towards spring. I invite you to take part in the many herbal happenings this month to help shake off your winter blues and celebrate a fertile year ahead! When someone is sick, when they are in pain, lost to even a memory of health, a simple anti-this or surgical-that might not be all they need to heal. There are other essentials in the body, which if neglected, will prevent a person from uplifting through trauma or disease to find their way back to vitality. Our instinctual reaching towards life and health is generated by the heart and by the love that resides there. Love comes in many forms—as connection, as comforting protection, as desire, and as purpose. Quite simply, love is life. Now, in the depth of winter, when the light is weak, the days frosted and cold, our spirits can fade. While we may not always admit that our existence is dependent upon such notions as love, our customs will remind us of these necessary truths. Traditions were cultivated just as the crops were, to help us to survive. It is no accident that in the bleak month of February, we choose to celebrate Love. And we give the aromatic gift of crimson petaled roses not only to symbolize that love, but also to heal the heart quite literally, quickening it towards spring and rebirth. 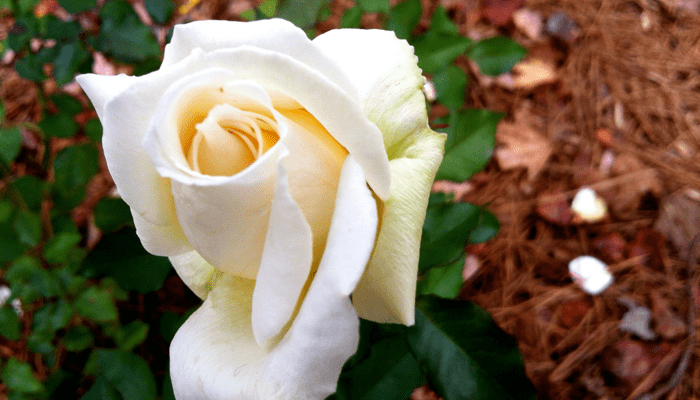 The Persian poet Rumi tells us “every rose that is sweet scented within, that rose is telling the secrets of the universe.” The rose is a powerful medicine—a medicine for the heart. Rose heals the heart from grief and loss and kindles our capacity to love again. Her sensuous scent helps us be open to love while her astringing qualities provide a protective boundary. Even her form demonstrates this interplay between vulnerability and power, defending her blushing blossoms with a sharp embattlement of thorns. Love is gentle strength. 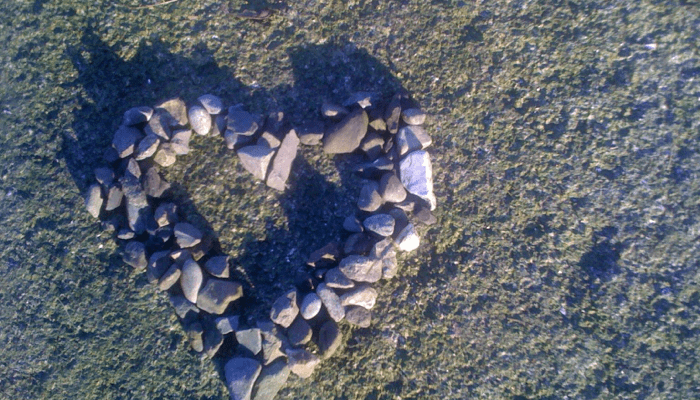 As an herbalist, I often work with patients whose sufferings stem from a trauma of the heart. Sometimes it is an obvious wound, inflicted by the death of a loved one or a relationship betrayed. Sometimes, we might not understand the traumatic origin, but can see the effects, such as a child’s lack of interest or a teenager’s aggression. But while the spectrum of human emotion can be complex, working with rose medicine is quite simple. Spritz your face with rose water and take a deep breath to relax and restore emotional balance. Blend a splash of rose water with pomegranate juice to refresh and awaken the heart’s curiosity. Infuse honey with fresh rose petals and drizzle it over a dessert or your lover to remind us of the sweetness of life. Coat the body with rose oil and then soak in a hot bath to release from grief. Just sitting and enjoying the beauty of a single petal will heal. This Valentine’s Day remember to share rose’s gift with your friends, your family, your lovers, and yourself.